Summerlin, with its convenient location and bountiful amenities, is one of the premier destinations in Nevada. With its beautiful climate and great scenery, many active adults decide to relocate to various regions in Nevada. One hot spot that has grown over the past decade is Summerlin, an affluent master-planned community located in Las Vegas. Summerlin is a carefully laid-out community with numerous neighborhoods and homes for future residents to choose from. Developed by the Howard Hughes Corporation, Summerlin is a vast 22,500 acres and this acreage is broken up into three master plans. The North and West are located within the Las Vegas city limits and Summerlin South is a part of unincorporated Clark County. In 2002, Summerlin was cited by Money Magazine as the valley's "chief community" when Las Vegas topped its "Best Places to Live in America" list. In 2014, the same publication cited Summerlin as the best place to live. With a life of luxury and affordability, it’s not surprising that so many retirees are choosing to relocate to Summerlin. Las Vegas is known for its hot temperatures, but Summerlin is nestled in the higher elevations of the valley, making temperatures a little cooler (about three to five degrees per thousand feet). While the Las Vegas strip is about 2,000 feet above sea level, the outer sections of Summerlin, on average, are approximately 1,500 feet higher than the city itself. Residents enjoy the sunny days with slightly cooler breezy temperatures as they take in the great outdoors and all Summerlin has to offer. Summerlin is designed for the active adult lifestyle with bicycle lanes on most major roads, several golf courses and a number of parks featuring swimming pools, ball fields, and volleyball, bocce ball, and tennis courts. The Summerlin Trail System is comprised of more than 150 miles (and still growing) and connects the various neighborhoods to the central amenities. The region also boasts the beautiful Red Rock Canyon National Conservation Area. Residents do not even need to travel downtown to catch great shopping and entertainment. As Summerlin grows, so does its commerce and culture. The Las Vegas Art Museum is just over two miles away and the Rampart Casino offers great entertainment in its Grand Ballroom, along with other performances in the casino. In addition to these shows, the Rampart even offers free entertainment. Residents can regularly enjoy renowned Las Vegas-caliber entertainment right in their backyards. Additionally, Summerlin has its own fabulous amenities in each community so residents don't even have to leave the property. But if they are looking for outside excitement, downtown Las Vegas is just a short drive away where they can have a night out on the town to enjoy fine dining, entertainment and gaming. There are many communities in Summerlin to choose from and active adults can buy in either an age-restricted or non age-restricted community. For those looking for a true 55+ community, expert builder Del Webb built its popular and luxurious Sun City Summerlin community, which opened 15 years ago with homes currently available on a resale-only basis. Other communities are still emerging. For instance, the highly anticipated Regency at Summerlin will open in early 2016. This community will have 425 homes on 100 acres. 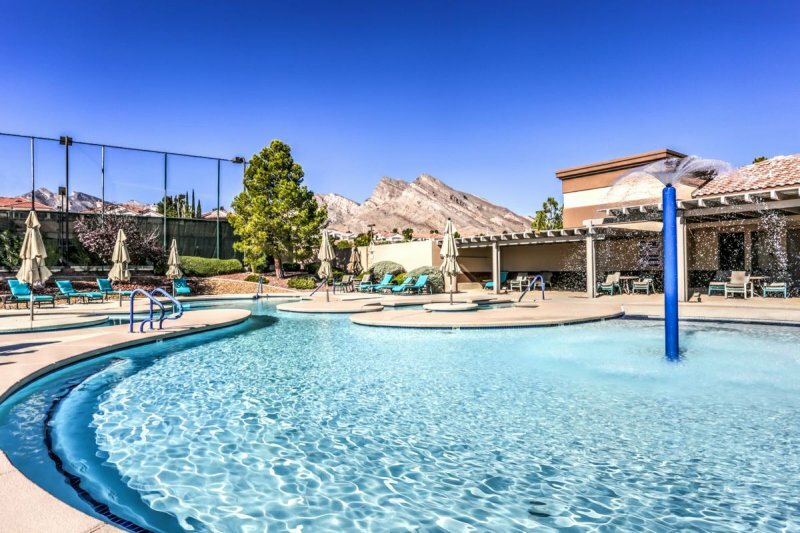 Surrounded in luxury and personal comforts with plenty of activities, active adults living in Summerlin can enjoy the scenic elevated sections of Las Vegas with the excitement contained within the bright city lights just a short distance away. Homebuyers seeking the best of both worlds will find it in Summerlin.